When it comes to shows and fairs for watches, Baselworld is the largest and undoubtedly most impressive. Taking place every year in Switzerland, this massive event is one of the industry’s most prestigious occasions. The exhibition showcases the most luxury timepieces from the best brands across the globe, providing a plethora of lust-worthy watches. Of course, delving into the details of each of these many designs can be challenging to say the least. So, we’ve decided to help you focus your attention on the ones that really matter. Here is our roundup of the best watches from Baselworld 2018 to add to your dream collection. 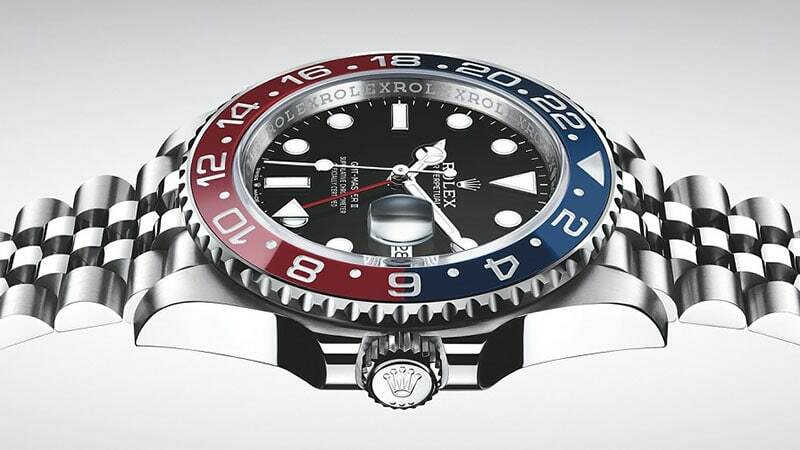 This year, Rolex introduced three versions of its classic GMT-Master II with a brand-new movement. Featuring a new generation calibre 3285, the Oystersteel, Oystersteel and 18ct Everose Gold, and 18ct Everose Gold styles are precise, reliable, and functional. Along with being certified Superlative Chronometers, these talented timepieces can also display the time in two different time zones simultaneously. Referencing the original GMT-Master design from 1955, the brand-new GMT-Master II boasts a classic aesthetic. It features a 40mm case, black lacquer dial, bi-directional rotatable bezel, and 100m water resistance. 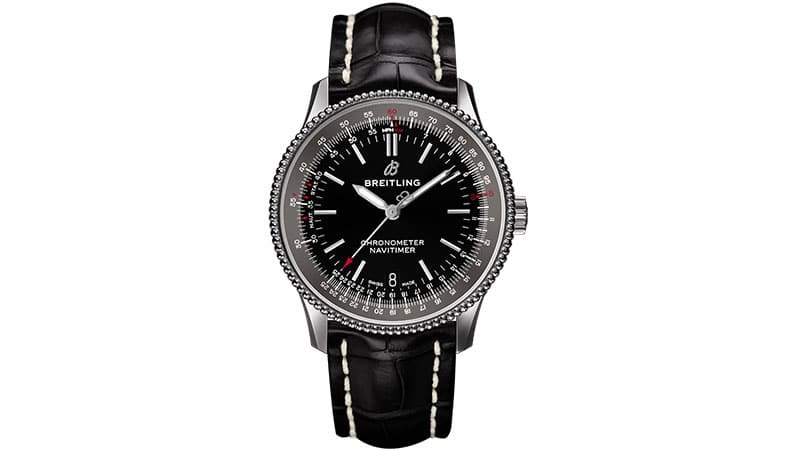 Breitling’s legendary Navitimer watch now comes in a brilliant 38mm case. Ideal for gents who prefer a small wristwatch or women looking to wear a classic pilot watch, the Navitimer 1 Automatic 38 is set to attract a new set of enthusiasts to the iconic design. Although part of a collection, this timepiece undoubtedly has a unique personality. It features no subdials for a clean look and boasts a newly designed beaded and crocheted bi-directional bezel. It’s available in a black or blue dial with a matching alligator leather strap, along with a silver dial design with an 18k rose gold bezel and brown alligator leather strap. While many impressive watches featured at this year’s Baselworld, none have made a stir like the Big Bang Referee 2018 FIFA World Cup Russia. 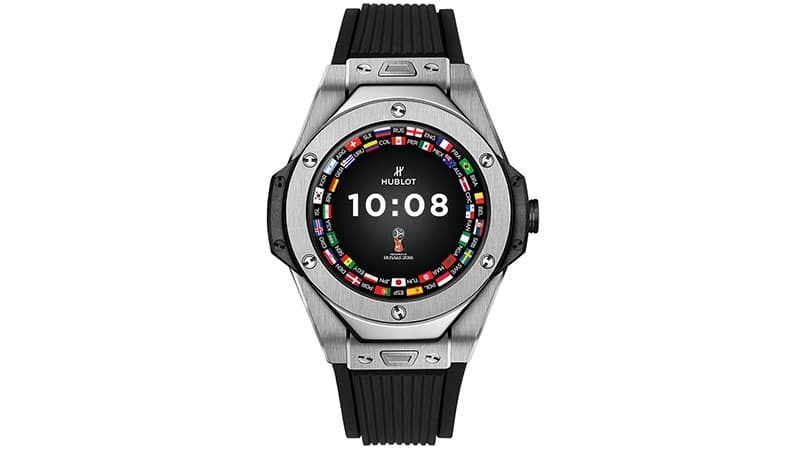 Not only is this Hublot’s first-ever smartwatch, but it’s also a dream watch for football fans. Made specially for the competition, this watch can track matches in real time, providing its wearer with match stats, and notifications for upcoming games, goals, yellow and red cards, and player changes. Additionally, referees will wear this stylish and smart timepiece during the Cup to utilise its interface with goal-line technology. 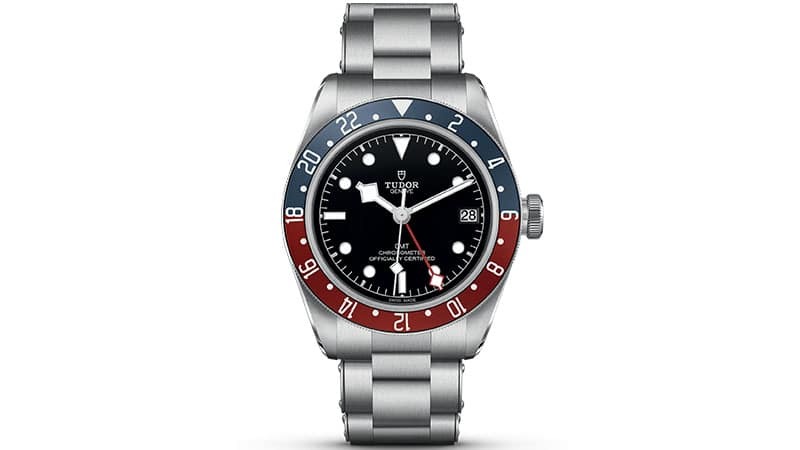 Tudor has introduced its line of Black Bay watches to world time with the new Black Bay GMT. 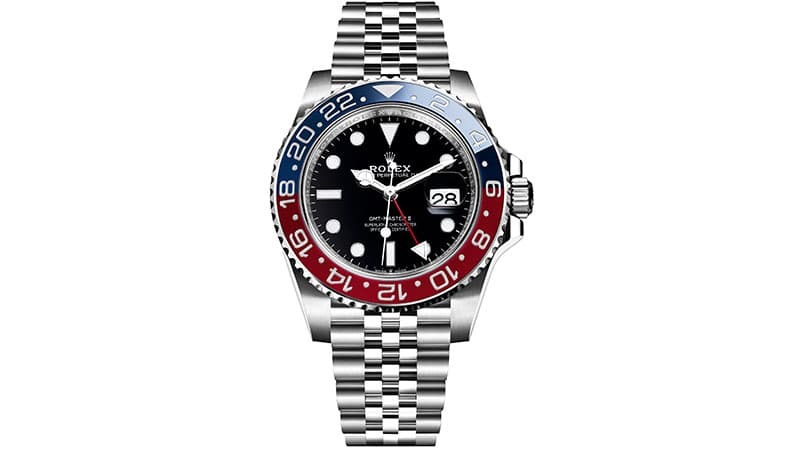 Featuring a GMT function, this top timepiece can establish local time without losing sight of two other time zones, which are indicated by the red “snowflake” hand and bi-directional rotating, blue and burgundy bezel. Its 41mm steel case hosts a contrasting black dial with luminescent hours, which was inspired by the Tudor divers’ watches from the 1950s. As for functionality, this timepiece doesn’t disappoint with 200m water-resistance, 70-hour power reserve, and date display. Additionally, it is a COSC-certified chronometer. 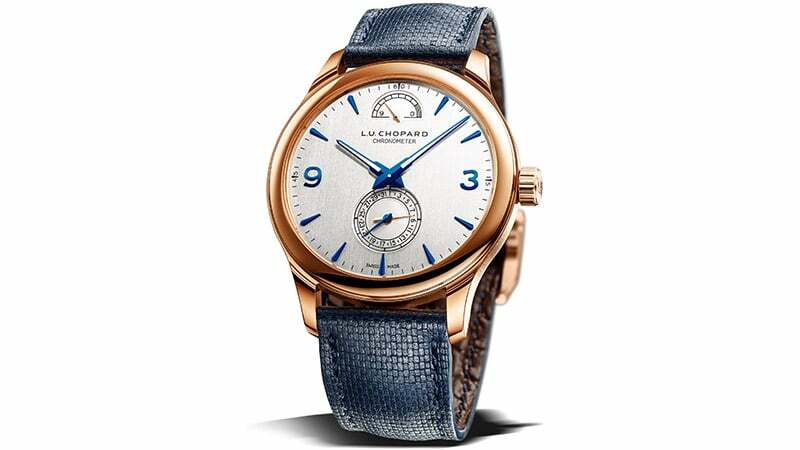 For 2018, Chopard unveiled a brand-new interpretation of its emblematic L.U.C Quattro watch. The elegant yet contemporary design boasts a new vertical silver-tone dial along with a luxurious 43mm, 18-carat rose gold case. The timepiece, which is also a chronometer, features a distinctive appeal thanks to its blue hour markers and calfskin leather strap. Additionally, this impressive watch also features a nine-day power reserve with a helpful display at the 12 o’clock position. 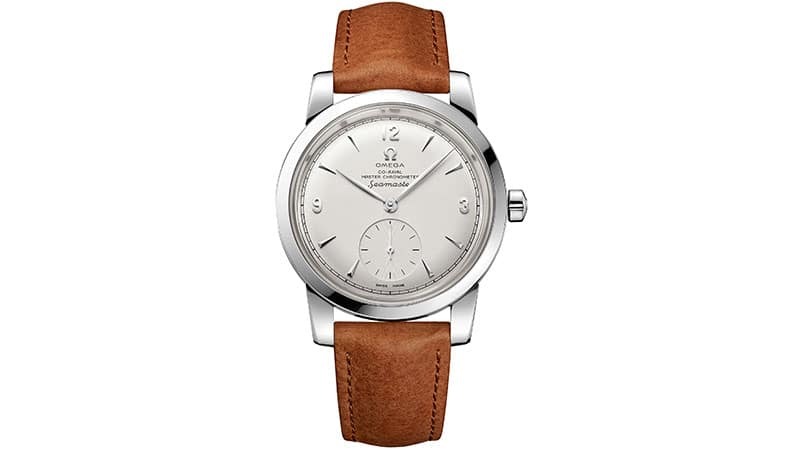 As a tribute to the 70th anniversary of its Seamaster line, Omega has unveiled two new limited-edition models inspired by the 1948 classics. The Seamaster 1948 Small Seconds and Central Second both stay true to the original post-war design while being powered by modern Master Chronometer movements. These watches, which are each limited to 1948 pieces, boast stainless steel cases, polished bezels, and 18k white gold hands. However, the Small Seconds version features a small seconds indicator at 6 o’clock and a brown leather strap. 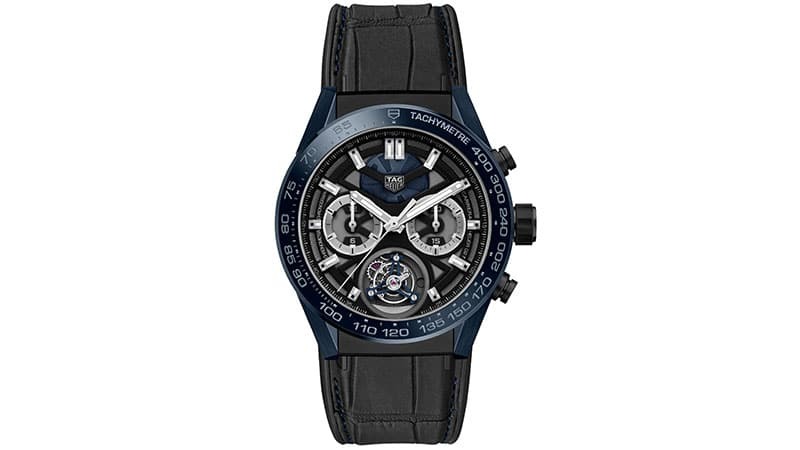 The Central Second design has a blue-grey leather strap. At Baselworld 2018, Patek Philippe launched the first chronograph in its Aquanaut collection. Of course, its chronograph isn’t all that’s special about the Patek Philippe Aquanaut Chronograph Self-Winding. Perfect for those who lead an active lifestyle, this timepiece is distinctively sporty and contemporary. 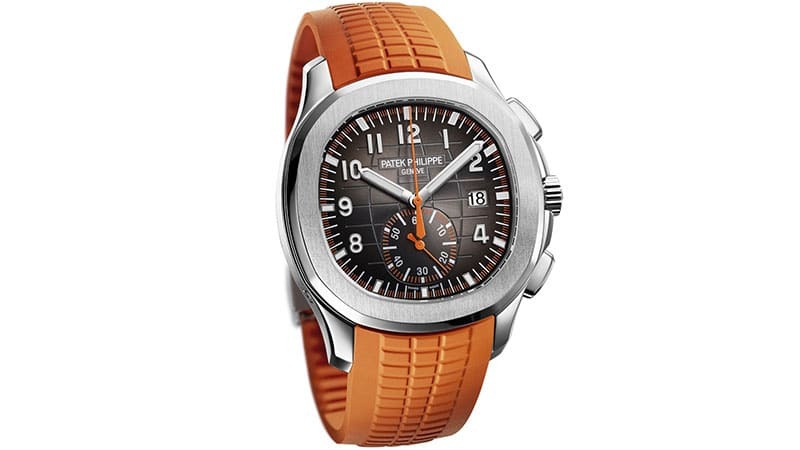 Featuring a 42mm steel case, black embossed dial and orange accents, the wristwatch is youthful and dynamic. It also boasts 120m water-resistance, 45-55 hours power reserve, a date window, and two composite straps (one in black and one in orange). 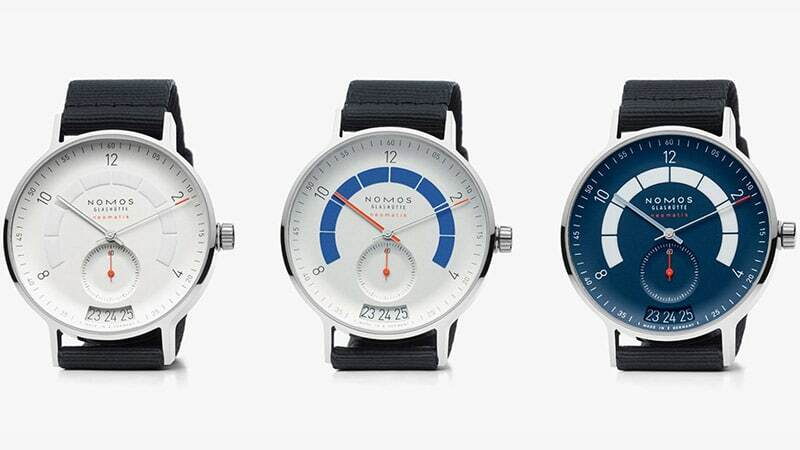 Inspired by the autobahn, the NOMOS Glashütte Autobahn is the latest watch collection from the German brand. Thanks to the line’s stylishly minimal design and impressive functionality, it races ahead of the pack in both appearance and performance. To suit different tastes, the automatic watch comes in three colour versions: white silver-plated, sports grey, and midnight blue. Each features a 41mm case, curves on its dial, a small seconds subdial, elongated date window, sapphire crystal glass back, and textile blue-black strap. Released to celebrate 55 years since the original Heuer Carrera, the new TAG Heuer Carrera Chronograph Tourbillon Chronometer is an impressive watch boasting two of the industry’s most important complications: a tourbillon and a chronograph. It’s also the first TAG Heuer chronograph to bear the prestigious “Tête de Vipère” stamp of excellence and is limited to 155 pieces. When it comes to the design of this exclusive timepiece, a refined yet sporty aesthetic is created with a midnight blue 45mm ceramic case and black alligator strap sewn on to rubber. 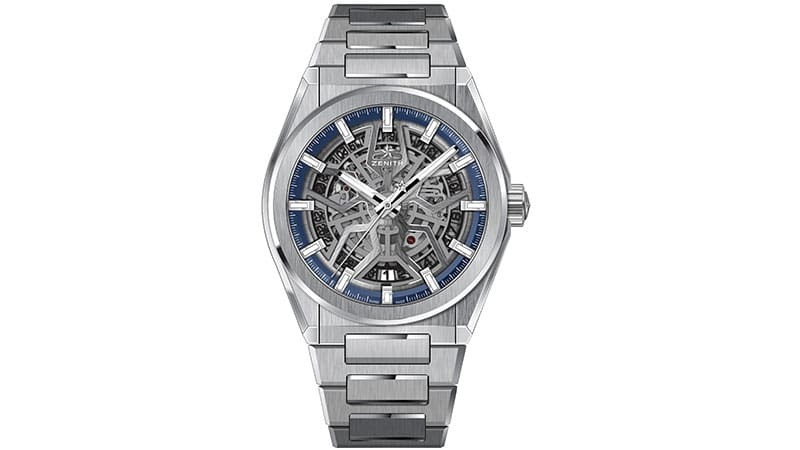 Zenith has impressed at this year’s Baselworld with its Defy Classic watch. The innovative three-hand plus date watch features a 41mm ultralight titanium case, star-shaped open-worked dial, and blackened skeleton movement. Additionally, it boasts a blue minutes ring and luminescent baton-style hands, which add to its sleek yet bold appearance. A cut-out date disc is also a notable feature, as is 100m water resistance. The watch is available with a choice of either a metal bracelet, leather strap or rubber strap. 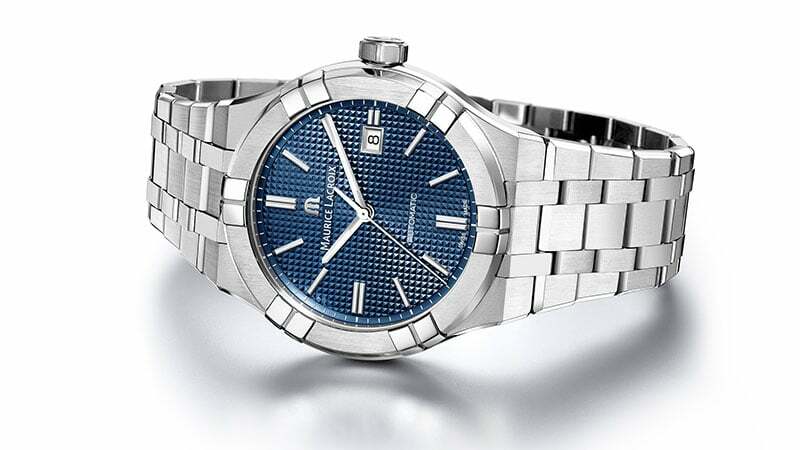 It also comes in a sunburst blue closed dial with a date window at 3 o’clock. Inspired by the BR-Bird plane, the Bell & Ross Vintage BR V2-94 Racing Bird is a pilot watch with a point of difference. The timepiece, which features a limited run of 999 pieces, offers its wearer a 30-minute chronograph timer as well as central chronograph seconds. Additionally, it features a small seconds subdial with an elongated date display. As well as being highly functional, this watch is also uniquely stylish. 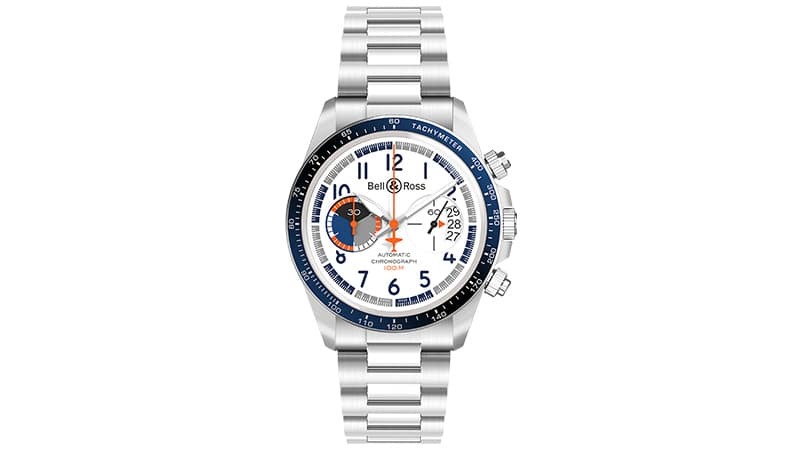 Its smart white dial with blue numerals and accents of grey and orange is sleek and perfect for high-flying gents. 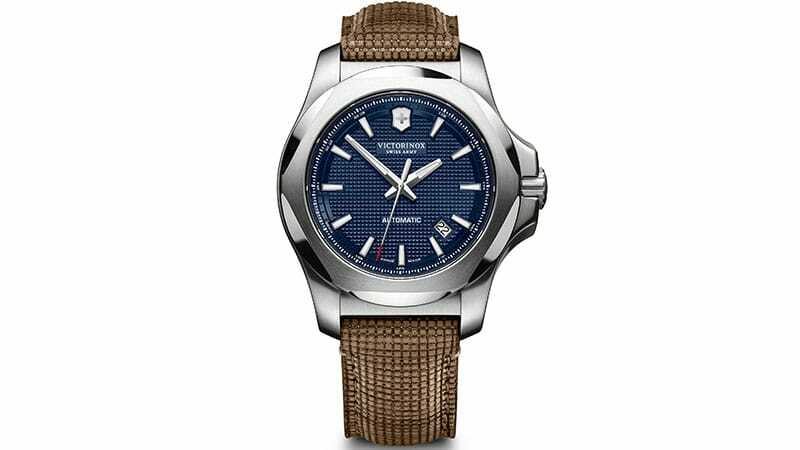 The first Victorinox I.N.O.X. may have first launched in 2014, but in 2018, the I.N.O.X. Mechanical has finally landed. This highly anticipated mechanical version is identical in style, proportions and features as the quartz model. However, a transparent back case reveals the mechanism inside. Although it won’t be available until October, you can start dreaming about its 43mm stainless steel case, guilloche dial, date calendar at 4.30, 200m water resistance, and, depending on your tastes, either stainless steel bracelet or genuine wood strap. Two years after the launch of its quartz version, Maurice Lacroix has finally unveiled its promised Aikon Automatic watch. Available in two models, the Aikon Automatic, which is a three-hand design with date function, and the Aikon Automatic Chronograph, which is a chronograph with day and date, the watch is an impressive timepiece. Each style is carefully crafted from steel and features a bold, textured dial. They also both boast the famous Maurice Lacroix six-arm bezel and are water-resistant to 200m.